The travel industry is often said to be a bell wether for the UK economy and again, post Brexit, it is so proving. Leave supporters may whistle all they like to keep up their spirits, pointing to the fact that shares are up and there is no sign yet of a serious economic slowdown, but the one hard fact in the confusion is the weakness of staring. Holidaymakers flying abroad, many of them likely to have voted leave, are among the first to experience the painful impact of the vote. In the past few days some airport currency exchanges have been offering as little as 99 euro cents to the £. Now it is widely accepted that airport rates are a rip off, but elsewhere you're unlikely to get more than about 1.13, a fall of 13% since mid June, before the referendum. A couple of tour firms have already reminded surcharges, though it's important to remember that under the 1992 package travel regulations operators must absorb surcharges up to 2% of the original holiday price and cannot pass on any increase later than 30 days before you are due to depart. The giant too operator TUI has warned UK customers booking 2017 may have to pay more for they breaks than they would have this year. How much prices will rise is impossible to gauge. 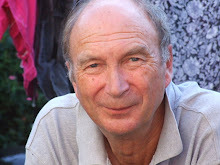 First nobody has any idea whether the £ has now hit the bottom, second it depends on the proportion of the holiday price accounted for by hotels and other elements charge in the destination currency and third it depends on the rate at which the operator priced this summer's packages. If those costs represented 60% of the package price and sterling stayed at its current level it's likely the price would have to rise by just under 8% - and that's without adding any impact the cost of airline fuel, which is charged in US dollars. Tour firms are in a bind. Responsible firms buy most of the foreign currency they need on the forward markets to cushion the impact of a slump in the value of the £. If the direst warnings of the Bank of England and other experts come to pass this will prove crucial. But if they buy at depressed rates and sterling bounces back this means they may lose out, effectively paying suppliers such as hoteliers and transfer coach operators more than they need. With interest rates at a historic low a recovery of the £ a ny time soon seems a distant prospect. But equally, such is the ludicrous lack of clarity about the meaning of Brexit and the timetable for withdrawal - if indeed that actually happens in a meaningful sense - that anything looks possible. Running in cities can be frustrating. Often there are too many roads to cross, too many pedestrians to dodge. Sometimes I have resorted to running around car parks. Sometimes, as in Mexico and Bulgaria, there have been so many potholes that I've been forced to return to the treadmill in the hotel gym. Bilbao hadn't struck me as an exception. How wrong I was. 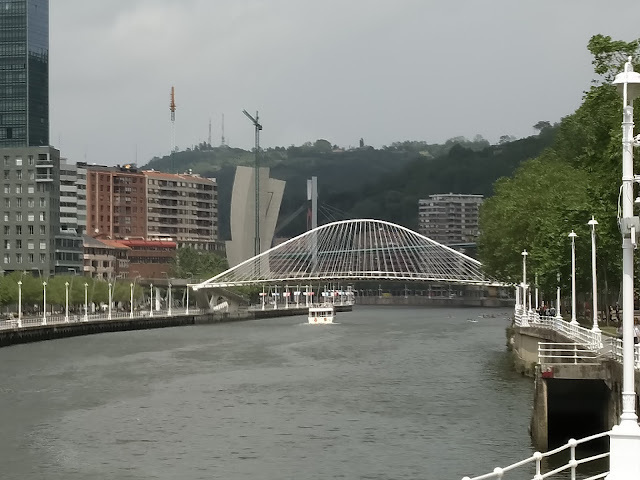 I stayed in two hotels in the capital of Spain's Basque country - one on either side of the River Nervion, once a nightmare of pollution, now a healthy artery. Both afforded quick access to running and cycling routes along its banks. 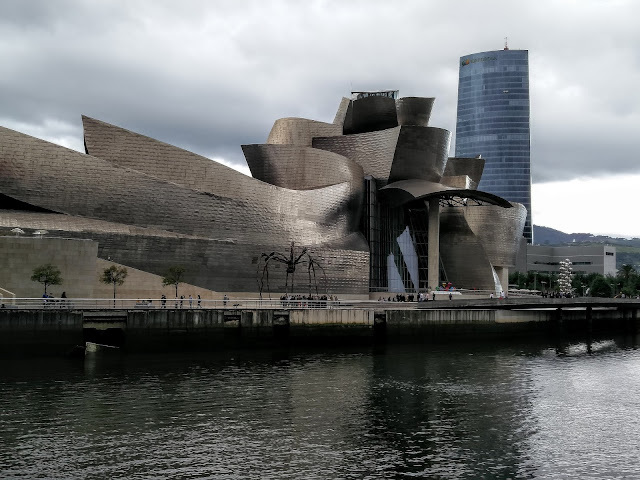 From the NH Hotel I crossed the broad Gran Via Don Diego Lopez de Haro in the heat of a summer evening to an uninterrupted route along the south bank. First a pleasant park with a boating lake, ornamental trees, boating lake and broad avenues. then the river promenade, east as far as Frank Gehry's stunning and much photographed Guggenheim Museum, symbol of the city's regeneration since the days when the river was lined with heavy industry and a major draw for tourists. Unsurprisingly there are plenty of other runners on this traffic free route. 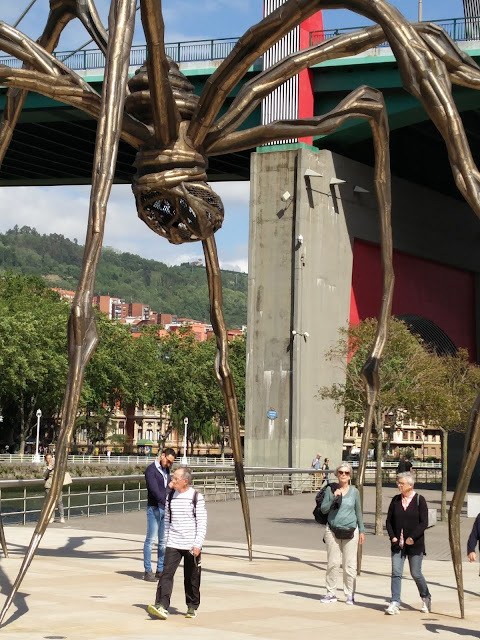 I turn back beneath the legs of Louise Bourgeois' giant spider which may be admired without paying the museum's admission fee. On the other side of the river I stayed at the Barcelo Bilbao Nervion. The path for walkers and cyclists is a bit closer to the road, the busy Paseo Campo Valentin, but as part of an interesting circuit I swung left outside the main door and headed towards the City Hall and the old town, crossing first the Ayuntmiento bridge and re-crossing the river on Santiago Calatrava's elegant Zubizuri - Basque for white bridge - which is reserved for pedestrians and cyclists. Three to four miles is about my maximum these days but you could easily run five miles without getting balked by traffic or slaloming between shoppers - while still being able to people watch as you go.